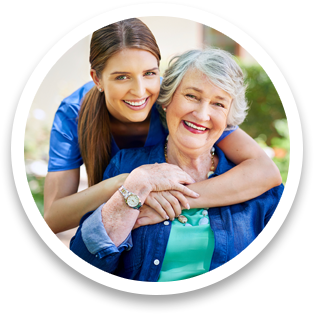 CareOne Senior Care, a premier in-home care agency serving Southeast, Michigan is expanding its services with the announcement of custom meal delivery from Silver Cuisine. Many people with Alzheimer's continue to live successfully on their own during the early stage of the disease. Making simple adjustments, taking safety precautions and having the support of others can make things easier. Being Discharged home after a hospitalization or a stay in a rehab center can be very confusing. At a time that a loved one may be adjusting to a new diagnosis or recovering from an injury, illness or surgery, transitioning home can be scary and overwhelming to both the patient and the family caregiver(s). Living alone can be challenging. Yes, it is nice to feel independent and self-sufficient, but it is hard to feel independent and self-sufficient when you worry or feel scared. Do you find yourself constantly wishing for just a few more hours in the day to help you accomplish everything that needs to be accomplished? In particular, if you are a member of the sandwich generation – those who provide care for both their children and their senior parents , you can quickly become a victim of caregiver burnout from an always growing to-do list. Travel May Be One of the Greatest Gifts You Can Give an Elderly Loved One. During the hot months of summer, it is often advisable for seniors to stay indoors and keep cool. Senior are more prone to heat related illnesses. How can you stay active while keeping cool? It Pays to Plan Ahead: Long-Term Care Insurance They don’t call it the grey tide for nothing! Baby boomers are about to make up the largest senior population the world has ever seen, and if plans aren’t made now, getting old is going to be an extremely costly endeavor.